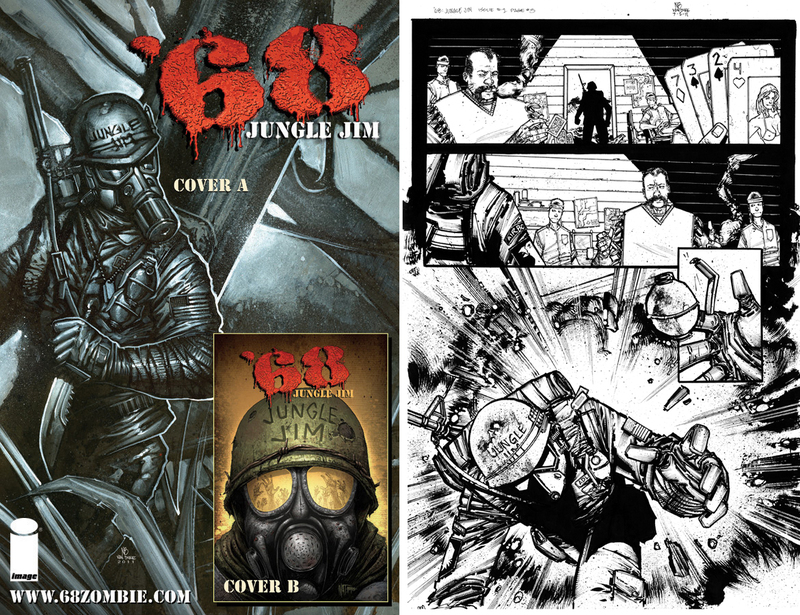 ’68: Jungle Jim comic book in stores Dec. 14th! Just a little reminder that my new comic, ’68: Jungle Jim will be coming out in comic shops tomorrow, Dec. 14th! There are two different covers so go get a couple of copies. ALSO, I will be selling all of the artwork from it starting tomorrow. I’ll be sure to post it here when it’s ready to go. This entry was posted on December 14, 2011 at 1:35 am and is filed under Uncategorized with tags '68 comic book, '68: Jungle Jim, art, comic books, comics, illustration, Image, image comics, jay fotos, mark kidwell, N8, n8 van dyke, N8vandyke, nat jones, nate van dyke, pen and ink, vietnam, zombies. You can follow any responses to this entry through the RSS 2.0 feed. You can leave a response, or trackback from your own site.